Some commentators have claimed that Barack Obama's second term agenda is vague and unspecified. Those commentators have not been paying attention. The issue that is is of most immediate concern to the Irish will be on the table on November 6: immigration. Obamahas made it quite clear that he wants to tackle comprehensiveimmigration reform in his second term. If he's re-elected it will be in no small part due to the overwhelming support of Latino voters, who rightly scoff atMitt Romney's absurd and insulting 'self-deportation' solution. 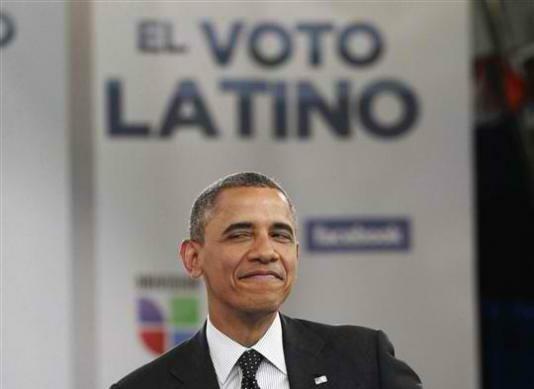 Republicans in a second Obama term will want to be careful to not present too much opposition to the presidents immigrations plans since they're weary of getting hammered in Latino precincts election after election. The president will also be conscious of his own debts on the issue. It should be remembered that President Obamawon and signed landmark Health Care reform, a dream for a generation of presidents that he almost made look easy. I don't doubt his ability to deliver on immigrationreform either. I also do not trust Mitt Romneyto pay even lip service to the issue, given the attitudes from within his own party. In any case he has made it quite clear his priorities are tax cuts for the rich, an aggressive and expansionist new foreign policy and the gutting the New Deal that was our grandparents gift to us, with help from the fanatical ideologue he has picked for Vice President. Romney won't have the time or the inclination to tackle immigration reform. So for the Irish the choice is clear, as is the candidate: President Barack Obama.